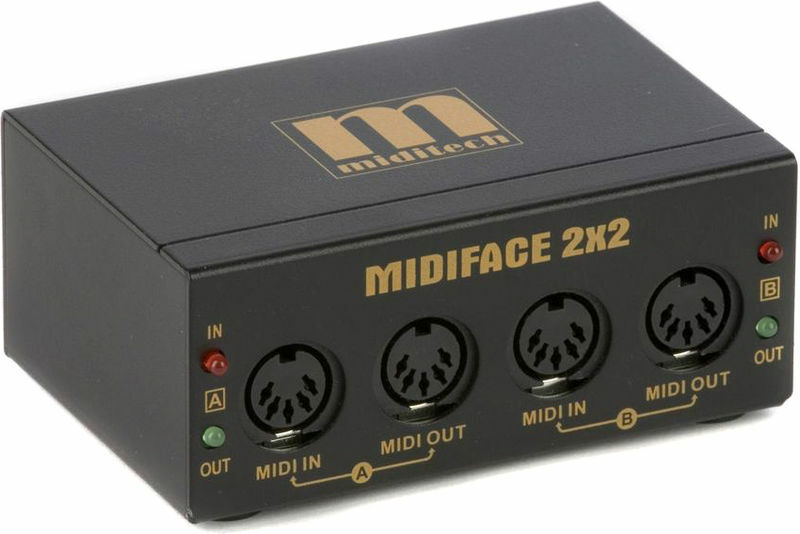 I have the MIDIface 2x2 now for a good year and it has never let me down. Originally I connected to the interface of an old Yamaha keyboard. The communication with Cubase (tested with Cubase 5, 7 and 8) under Windows 8 ran perfectly. Now I use it in conjunction with the light control software "Sunlite Suite 2" to receive the MIDI clock from my keyboard player. On the other input is my Line 6 Pod X3 Live connected so I can control the fog by foot switch when I'm on the stage as a guitar player just barely free to use the mouse from the laptop. I installed the interface in a rack. The whole is fixed with cable ties in a Thon rack. Is perhaps not the most elegant solution, but it fulfills its purpose. And since this little black box is really super-processed, I have no concern at all that something is broken. 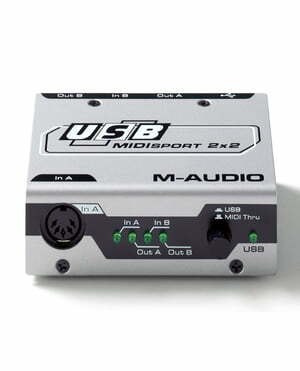 Simple interface that more than fulfills its purpose. It has little lights for the in and for the out, that help a lot if for something else badly plugged in it does not sound. ID: 319236 © 1996–2019 Thomann GmbH Thomann loves you, because you rock!